Amidst all the fanfare of the new iPhone X launch, Apple has given its Apple TV its most potent upgrade yet. Powered by an Apple A10X Fusion hexa-core processor, the new Apple TV supports 4K HDR in both HDR10 and Dolby Vision formats. The new Apple TV is a device that could easily be forgotten in all of the excitement surrounding the launch of the new iPhone X. The sad thing is, however, that this time Apple may have finally nailed it after having famously declared its set-top-box a hobby for many years. 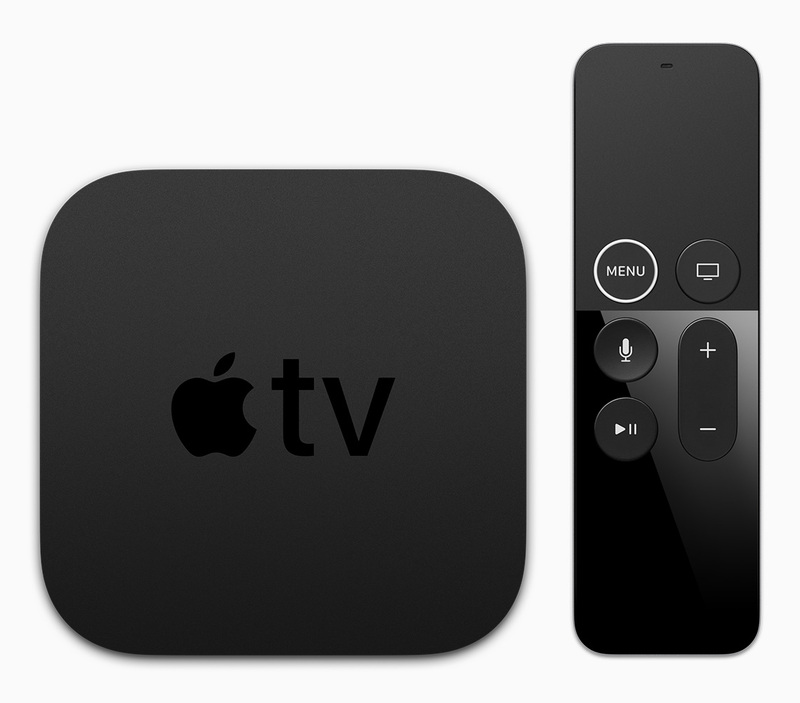 While the previous generation Apple TV was powered by the Apple A8 dual-core ARM-based chip, the new Apple TV 4K picks up the much more powerful hexa-core Apple A10X Fusion chip. This is the same chip that powers Apple’s 10.5-inch and 12.9-inch iPad Pro models that could make it the most powerful set-top-box of its kind on the market. In addition to its capabilities, Apple has staged a major coup by offering owners of the new Apple TV 4K model a free upgrade of the current HD titles in their library to a 4K HDR version. This will happen over time as the 4K HDR version becomes available on the iTunes store. For current Apple TV owners who own either 4K TV or a 4K with HDR TV, upgrading is a no-brainer as a result. Apple has also said that 4K HDR content from third-party providers like Netflix and Amazon Prime will soon be available on the Apple TV 4K as well. Importantly, Apple is supporting both HDR formats including the open-source HDR10 format and the proprietary (but more sophisticated) Dolby Vision variant. The Apple TV 4K will also upscale existing HD content. With AirPlay 2 support coming later in the year, users will also be able to control multiple AirPlay 2-compatible speakers along with their home theater speakers from their lounge chair. Improved Siri functionality and App Store support is also included with the latest version of tvOS. The new Apple TV 4K will start from US$179 for the 32 GB model and US$199 for the 64 GB model. Pre-orders start from September 15 with devices shipping to customers on September 22. 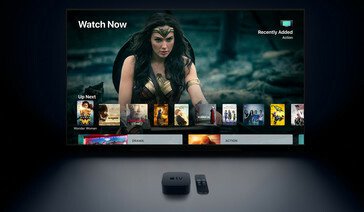 Cupertino, California — Apple today introduced the new Apple TV 4Kdesigned to deliver a stunning cinematic experience at home. With support for both 4K and High Dynamic Range (HDR), Apple TV 4K features unbelievably sharp, crisp images, richer, more true-to-life colors, and far greater detail in both dark and bright scenes. With Apple TV 4K, viewers can enjoy a growing selection of 4K HDR movies on iTunes. iTunes users will get automatic upgrades of HD titles in their existing iTunes library to 4K HDR versions when they become available. Apple TV 4K will also offer 4K HDR content from popular video services, including Netflix and Amazon Prime Video, coming soon. Built on the groundbreaking A10X Fusion chip — the same chip that powers iPad Pro — the new Apple TV 4K delivers a vivid 4K HDR experience. Support for both Dolby Vision and HDR10 ensures users can enjoy incredible-looking TV shows and movies on any HDR TV. Built-in high-performance 4K video scaler makes HD content look better than ever on a 4K TV. Always outputting to the highest resolution possible allows viewers to get the most out of their TV, whether it’s an older HDTV or the latest 4K Dolby Vision OLED. Automatic detection of a 4K TV’s capabilities optimizes setup for the best quality picture. Siri and the Apple TV app are easy ways to find and play exactly what you want. The TV app brings all your favorite shows and movies together, and Siri makes it possible to search and access content across Apple TV using just your voice. The TV app supports over 60 services on Apple TV and iOS devices, with more being added all the time. Whether you’re at home or on the go, it’s easy to discover and watch TV shows and movies from multiple apps in one place. Siri is smart about 4K HDR, so it’s unbelievably simple to find movies and TV shows in the highest picture quality across your apps (e.g., “Show me movies in 4K”). Starting this month, the TV app will be available in Australia and Canada, in addition to the US. And, by the end of the year, it will expand to France, Germany, Norway, Sweden and the UK. Apple TV is the perfect addition to any household, with great apps from the App Store on Apple TV, as well as photos, videos, music and more. If you already own an iPhone or iPad, there’s no better choice in the living room than Apple TV. Users can share recent photos and videos from your iPhone and iPad, including the best Memories, with friends and family on the biggest screen, with iCloud on Apple TV. It’s also simple to send movies, TV shows, home videos and photos from iPhone or iPad instantly to the TV using AirPlay from your iOS devices. With support for AirPlay 2, coming later this year, Apple TV can control multiple AirPlay 2-compatible speakers as well as your home theater speakers to create the ultimate home music experience. Apple TV goes beyond entertainment to help deliver on Apple’s vision of the smart home. Since Apple TV is always at home, it’s perfectly suited to act as a home hub for all of your HomeKit accessories, enabling remote access as well as automated control (e.g., automatically turning on the lights at sunset). Pricing and AvailabilityApple TV 4K starts at $179 (US) for 32GB or $199 (US) for 64GB, joining Apple TV (4th generation) 32GB at $149 (US), available from apple.com and Apple Stores, as well as through select Apple Authorized Resellers and carriers (prices may vary). Customers will be able to order both Apple TV 4K models beginning Friday, September 15, with availability beginning Friday, September 22. For more information, visit apple.com/tv.